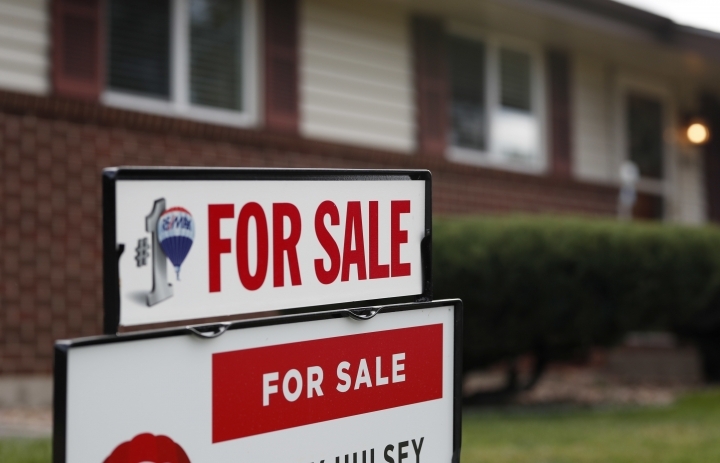 WASHINGTON — U.S. long-term mortgage rates fell this week, offering a slight degree of relief to would-be homebuyers after the stock market has tumbled. Mortgage buyer Freddie Mac said Thursday that the average rate on the benchmark 30-year, fixed-rate mortgage dipped to 4.55 percent from to 4.62 percent last week. Rates averaged 3.99 percent a year ago. The average rate for 15-year fixed-rate loans dropped to 4.01 percent from 4.07 percent. Still, that average is above its 3.44 percent level a year ago. Mortgage rates began to spike after President Donald Trump signed deficit-financed tax cuts into law last year, but rates have eased in recent weeks as stocks have sold-off and the interest charged on the 10-year U.S. Treasury note has tumbled. The decline in mortgage rates could help boost home sales, which have stumbled this year as higher borrowing costs have worsened affordability. "The negative headlines around the financial markets are concerning," said Sam Khater, chief economist at Freddie Mac. "But the economy remains healthy, so the drop in mortgage rates should stem or even reverse the slide in home sales that occurred during the second half of 2018."